This test detects the single basepair change in exon 4 in the TOE1 gene. → Ataxia due to progressive death of brain cells responsible for movement. 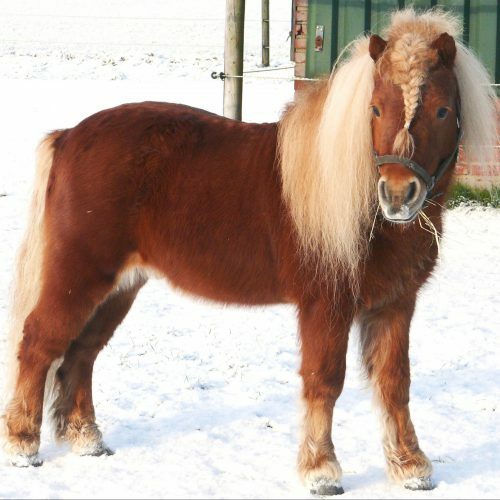 Breeder Information (Germany): Beginning January 2019, all active riding pony stallions in Germany must be tested for CA to be approved for breeding. Degeneration of Purkinje cells in cerebellum, with first symptoms visible as early as six weeks of age. Strongly variable severity of symptoms may impede diagnosis. Risk of injury is high for affected horse and handler → should be handled very carefully and not be used for riding/sports. Affected horses are often euthanized due to poor quality of life. 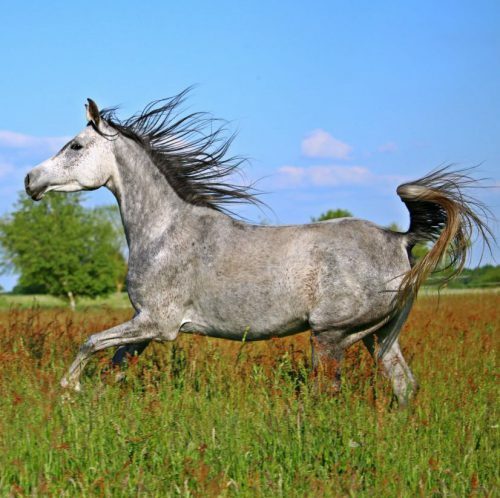 The mutation is found in Arabians, German Riding Ponies and related breeds. Because of the wide use of Arabian horses in many other breeds, it is recommended that riding ponies and light horses of many breeds be tested. Beginning January 2019, all active riding pony stallions in Germany must be tested to be approved for breeding. 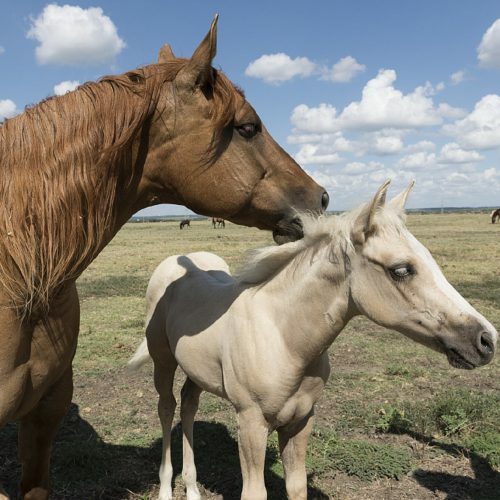 → CA is an autosomal recessive hereditary disease, meaning that horses with only one copy of the genetic variant (N/ca) are clinically normal carriers while horses with two copies of the genetic variant (ca/ca) are affected. N/N normal. The horse does not have any copies of the genetic variant causative for CA and therefore cannot pass it on to any offspring. N/ca a carrier. The horse is clinically healthy. It has one copy of the genetic variant causitive for CA, which will be passed on to its offspring with a probability of 50%. ca/ca affected. The horse has two copies of the genetic variant causitive for CA. The variant will be passed on to all offspring. All offspring will be carriers (N/ca). Carriers may be bred to normal animals (N/ca x N/N) without any risk of producing affected offspring. The offspring should also be tested before breeding to determine if they are carriers or normal. Breeding two carriers (N/ca x N/ca) is not recommended due to the possibility of 25% of the offspring being affected. Affected animals (ca/ca) should not be used for breeding. Brault, L.S., Cooper, C.A., Famula, T.R., Murray, J.D. and Penedo, M.C.T. (2010) Mapping of equine cerebellar abiotrophy to ECA2 and identification of a potential causative mutation affecting expression of MUTYH. Genomics doi: 10.1016/j.ygeno.2010.11.006.